You’ve heard of Dinner theatre, how about the art of dining? The Art Of Dining when Dinner itself is art and the restaurant is the ultimate theater. Chef Carlos Darquea sets the stage with an impeccable selection of Traditional Dishes from Argentina, Grilled to perfection and served with a new and exciting flare that in my opinion only an artist can deliver. In a pair of flat black finished slightly large framed rectangular glasses Carlos explained to us ( A Group of diverse writers both print and internet savvy) how he takes great care in the selection and preparation of his grill menu. the fish entrees are wild caught from scouted waters which are in perfect season. The vegetables, organic of course and also grilled. A young Japanese writer who joined us was a little shy in asking about the grilled half lemon wedge and its place in one the fish entrees that was served and his answer was it is used to add to the flavor. This is the word for this article, Flavor, Everything served burst with flavor and zest. ​With crisp combinations that had me (to my dismay) almost speaking to myself in ummms and ahhs. selected by Sommelier Alicia, wife of Chef Carlos, really speak for themselves. (Oysters Barbecue) Grilled sewansecott oysters topped with parsley, garlic, lemon zest, pepper flake butter and reggianito argentine low salt cheese. Are you a fan of oysters on the half shell? grilled seabass deboned, with fresh herbs and olive oil served with grilled asparagus and grilled meyer lemon. smooth, rich, juicy, complex and balanced, dark inky-purple, with cherries and smoky finish. I took the time during during intermission to browse around the restaurant. I am a big fan of interiors. I love to see what restaurateurs have in mind when they are creating the environments in which they serve their culinary creations. Spacious, luxurious, tasteful are words I will use to describe the interiors of Chimichurri Grill East. From the glorious sparkling chandelier's in the center of the lounge area and the dining room that cast the perfect amber ambient lighting to the Watercolors over 2 dozen framed paintings of herbs and spices - that are uniform and in horizontal order wrapping around the entire dining room to the crisp white dining cloth that drape the tables Chef Carlos and his wife Alicia have brought together both worlds in perfect harmony. From the entrance in the front where a very lovely and exotic hostess greets you and invites you in passing the bar and into the Lounge area where you can also dine or nosh on hor douvres the experience is truly wonderful. PINOT NOIR, LUCA, 2013 beautiful garnet color with aromas of wild strawberries, saddle leather & cola root. a complex pinot with notes of leather, spice, and cherry/raspberry on the palate, amazing aroma and finishes with an enjoyable bourgogne bent. Malbec, O. Fournier Alfa Crux 2011 massive wine, black as pitch in the glass, dominant cassis and blackberry with cedary oak /cigar notes, palate is plush, round. Santa Julia Tardio Late Harvest Torrontes Ice Wine intense aromas of over-matured fruits, honey and dried fruits like pears, apricots and peaches, orange skin and roses. It is sweet, unctuous in the mouth, silky, with balanced acidity, complex and long finish. it leaves the audience in hope of more - an encore. For over 18 years, our small flagship restaurant in the Theater District remains a favorite for many of our theater-going patrons, friends, neighbors & tourists. 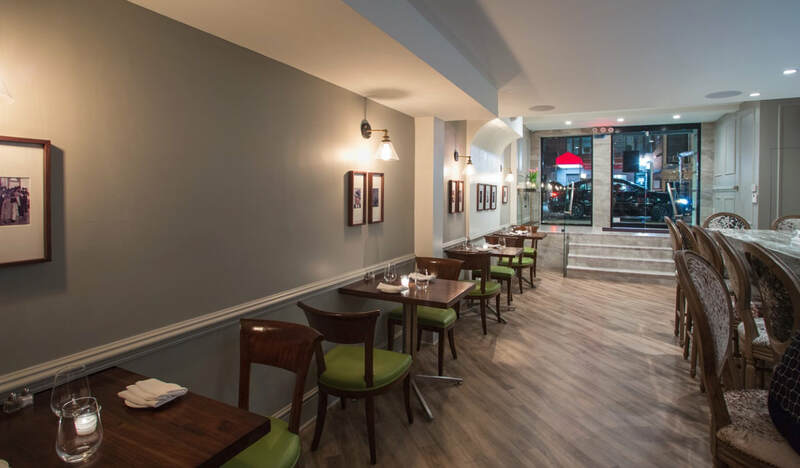 And now our Uptown outpost steps off Lexington Avenue on 61 st street is there to indulge with a larger seating capacity and great onubstrusive service from the moment you arrive. Serving authentic Argentine cuisine, Chimichurri Grill delivers expertly crafted grass-fed black angus steaks, that have been wet aged for over 32 days, sustainable fish, free range, hormone-free, lamb, poultry and pork, homemade fresh pasta, homemade desserts, a premium full bar that features made from scratch cocktails, and a skillfully appointed wine list featuring the very best varietals from Argentina. 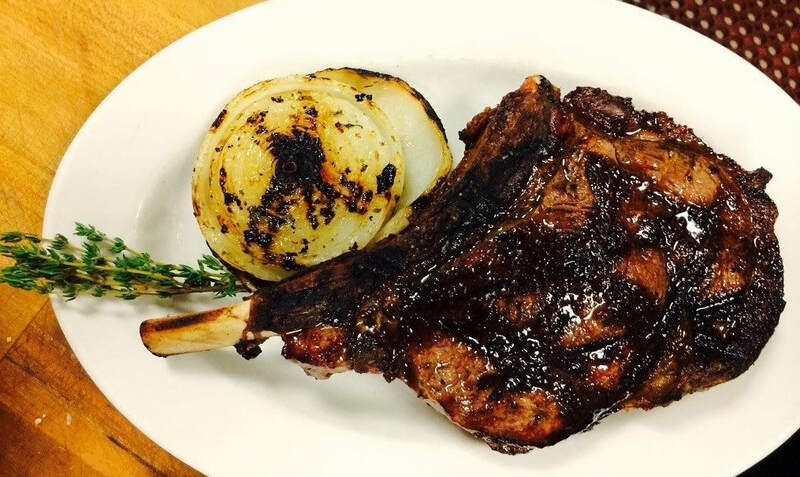 Chimichurri Grill is deeply rooted in the idea of doing things the right way, and well it should. Owner and General Manager Alicia has been dedicated to the restaurant business for over 30 years. Chimichurri Grill is family owned and is given its unique welcoming flavor by friendly and efficient staff, and the soulful tangos that play softly on the background. The decor is classic, and modern at the same time. A glass entrance is the first thing you see from the outside, once inside the athmosphere is softened by the soft colored walls, starched white linen cloths, the silver antique utensils, votive holders, subdued oil paintings and urban B.A. photographs, which all come together to create its appeal. Then, there is the food, which is described by many as “quintessential Porteño fare.” Alicia and Chef Carlos personally select the ingredients for the menu daily from the early morning markets, seeking out the most interesting and fresh items for the specials and always keeping the menus seasonal and deeply rooted into Argentine tradition. knowledge of the menu and wine list, will recommend the perfect dishes and wines to best meet your expectations.